I wrote in this space a few weeks ago about my precious daughter and the complications she was having with her first pregnancy. After many hard weeks and doctor visits, specialists weighing in with good news and bad, Jesus saw fit to take the baby boy home. Thursday we have a service to remember his 19 week old life. The outpouring of support and care and comments from Leah’s friends across the country have been a balm to her soul. Facebook messages, texts, emails, phone calls–the words have come in various ways, always prompting new tears, but bringing more healing along the way. The card pictured above was one of those messages. It will be days, months, maybe years, to process what God has done and to see the fruits from the passing of this small seed. New life is coming, even from this death, and there will be more to write. His name was Garrison Isaac. You know ‘Isaac’ means ‘laughter’–and he is–laughing, I know. With Jesus. where she writes about another boy named Isaac. thank you, Elizabeth. You DO know the kind of pain this brings. The memorial was precious and powerful and God has begun a good work in both my daughter and son in law through it all. I am so sorry for your loss. I know the pain of watching your child grieve this kind of loss and it was the hardest thing I've ever done, watching my daughter grieve like this. I hope the memorial was a time of healing for all of you. Carol, one never forgets a time like that. Thank you for your kind words. my tiny baby sister died back in ther 50's at about 5 1/2 months gestation. She lived 7 hours. I never saw her. I have never forgotten her. I am sorry you lost your precious grandson. I am so sorry for this heart-breaking loss to your family. I will pray for you all; for a blessing filled funeral and solace in the days, moths and years to come. From one grandma to another … deepest comfort, sweetest peace in the midst of tears that fall. I am so sorry for your tender loss. Truly. Diana, I am so thankful for your grace to make this such a welcoming space. I appreciate you very much. Joy, thank you for your kind words. Being a grandma is such a precious gift, isn't it? Jody, as a newly fledged grandma myself, I am feeling and sharing your tears and pain at this sad loss. 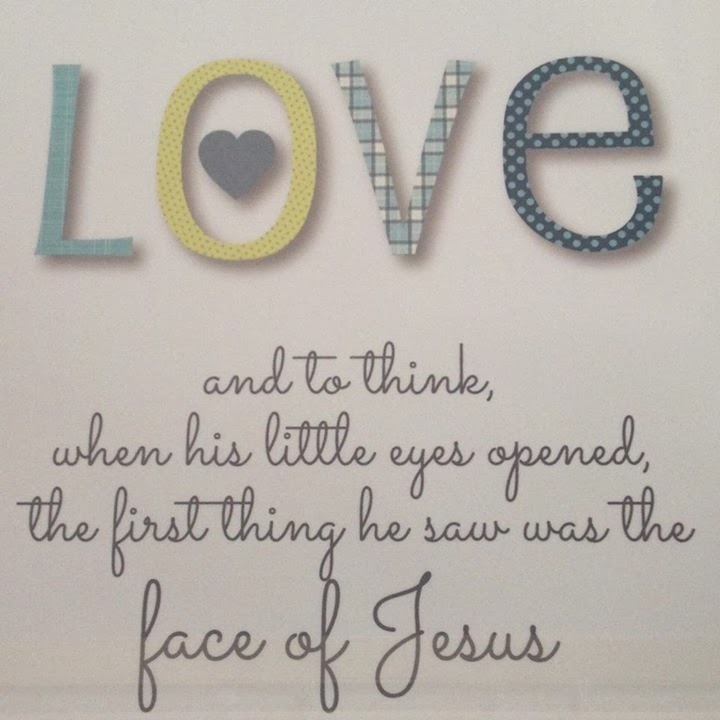 What a beautiful and apt name for a dear little soul who is spending time with Jesus right now. May God bring the healing you all need and fruit to grow strong from this precious seed. Oh, Jody. This is so beautifully written, filled with both sadness and grace. Thank you, thank you. And thanks for linking this, my friend. Your tears — all your tears — are so welcome here. Lisa, you DO know the loss. Thank you for your kind words, sweet friend. Oh, this makes me so sad to hear. 🙁 I am so sorry for your loss of little Garrison Isaac to live his life here with you and your family. I will be praying for Leah and all of you. Having lost my middle daughter Kali after she lived only an hour, I know this pain is real and intense and sticks around. I also know the Lord will see you all through, but it's still difficult days. Love you, Jody. My heart aches for you and your family, Jody. But my spirit rejoices in your strong faith that is seeking to process what God has done and is looking for the fruit from Garrison's passing. You are showing us the way to grieve! Thank you for your example, and your beautiful, expressive words. Sharon, it was a sad time, but a time of rejoicing, too, in what God has done to speak to them through these hard days. Thanks for reading. Thank you, Margo, for your sweet encouraging words. Lyla, your words mean a lot. Thank you. Glenda, my son in law stood and led us and it was like they didn't even need me. My brother and others joined in and it was lovely. Thanks for your prayers. Praying for you, dearest. That is hard Grandma duty, wow. I will be praying the Lord gives you the ability to sing while you are sad. My heart is with you and your family Jody. We just never know what God is doing in our lives, and sometimes we don't understand. But we trust in spite of! The verse up top is SO true and SO inspiring! He gets to see Jesus!! Big hug to all of you!! that is so sad, I pray you are able to sing that lullaby all the way through. Oh my heart hurts for all of you. I love his name.